Amber Moran was born and raised right here in Texas. She is dedicated to helping her clients understand the Real Estate process from start to finish. Buying or selling a home can be a very daunting task, Amber is here to provide guidance, education, and expertise to her clients. She believes in straight talk, honesty, and good communication. Amber’s work ethic and family values speak for themselves. “Every transaction is personal to me, I treat everyone like family.” Her passion for her clients’ interests comes not only from her servant’s heart, but from her own first-home buying experience that was “a disaster.” She decided then, that she would make sure that people had a much better experience than she did. She aims to help her clients make the best decisions for themselves and their families. She truly embraces her clients’ real estate experience and strives to ensure a painless and smooth transaction. From the second I met Amber, I know I was going to like her. Her exuberance and excitement about life is contagious. She always operates at 10,000 mph with a huge smile on her face. I really can’t say enough good things about Amber. She makes me want to buy a house again even though I don’t need one right now. I think we were a realtor’s worst nightmare. We didn’t really know what we were looking for, or how much we were comfortable spending, we just knew renting was not getting us anywhere. Amber really helped us figure out what was a priority and she was so patient with all our “first time buyers” questions. I never felt rushed or pressured and always felt she had our best interest in mind. We will definitely work with her again in the future! Amber is an amazing agent. She was able to work around my crazy schedule, and helped me find a home. She was always in a great mood, very professional and always on time. I enjoyed working with her and recommend her 100%. Amber made buying & selling my house one of the easiest processes ever! She was with me every step along the way & made both experiences seamless & stress free. Amber truly cares about who she is working with & you can always count on her to be on your side & have your best interests at heart. I would highly recommend Amber to anyone that is considering buying or selling a home!!! Amber was very thorough in explaining the process of selling and building a home before we began our adventure. She helped us know how to prep our property before putting it on the market. We had our offer after the 2nd viewing. Amber helped us find a new property rental that accommodated for our family and pet. She is currently representing us as we build with CalAtlantic. Amber is readily available and knowledgeable about real estate dealings. I highly recommend that you work with Amber. As a first time homebuyer in my early 20’s, I was very unsure of the house buying process since we were talking about spending my entire life savings. The first time I met with Amber, she immediately put me at ease about everything. As we began to look at houses, her incredible knowledge about everything from real estate values to knowing what would fit my criteria really shined. She was very patient with explaining all of the details and answering all of the questions that I had. I ended up finding the perfect home for me and, even a year later, couldn’t be happier. Whenever I meet another realtor, I am reminded how lucky I was to work with Amber. I recommend her and UFCU to anyone I can. We love Amber Moran! 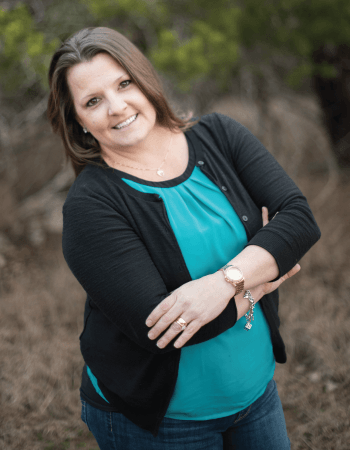 She is not only the best agent with Realty Austin but easily the best in Austin. She far exceeded our expectations. When we first made contact until the time we closed it was almost a year. She never made us feel that she was frustrated or tried to rush us. She helped us get a great loan and find a great house for a great price. She sold our old house in less than 24 hours for above what we expected. There is no doubt in our minds that when we or anyone we know has any real estate questions Amber will be highly recommended! She was responsive, professional, & efficient. I truly believe I would still be wasting too much money on a rental property if Amber had not come into our lives just a few short months ago. She reached out to us during our search for a rental property and was the FIRST person to ever ask us “why don’t you just buy?”. My husband and I are young, never owned a home, and lacked information or guidance on how to navigate the process. Amber got us started on the right track and honestly, we are now sitting in our new home and it is largely because of Amber. She was responsive, professional, efficient and knew all the “trick of the trade” to get these first time home buyers through a very stressful first time home buying experience. Would recommend her to anyone in the market to buy–she’s very good at what she does. Realty Austin is lucky to have her. Amber is awesome! She is very knowledgeable about the market and was very helpful in selling our home. I highly recommend her. and close. She even helped answer some questions I had about the market a few years later. Love her informative mailers, too. Amber helped us buy our first home and sell one as well! She’s attentive and very knowledgeable about every step of the process. We highly recommend Amber to all our friends and family! Amber was wonderful, completely dedicated to helping me through the selling and purchasing processes. She’s extremely knowledgeable and very sharp. Amber is very knowledgeable and welcoming. I bought my first home with her help and the process was very simple thanks to her help. Amber was amazing to work with. She’s on top of everything and really knew her stuff. She made selling our home easy. Thank you Amber! we will be recommending you to others! Amber was our realtor back in 2012 when we moved from NY to Pflugerville, Texas. Amber was awesome! We told her that we would only have a week to find our home, so she cleared out 6 hours a day for us to ensure that we were able to find our dream home. She arranged for us to see 28 homes over the course of the time that we had. We also had our inspections and a pending g contract by the time we headed back up to NY. She helped us to negotiate a better price too. She is timely, knowledgeable and considerate. We love Amber! She was pregnant with her son at the time too, but that didn’t slow her down. We will always recommend Amber for Austin area realty & we will use her again when we sell! Amber has been great in helping us with all of our real estate needs. She is connected to the local community and knows the ins and outs of the area. Wimberley is a far different market than Austin. Use someone who knows this area. True professional, I’ve worked with Amber on several occasions she always takes excellent care of her clients, anticipates their needs and works diligently to make sure they have a great buying experience. We’re lucky to have her in our market! Amber helped my husband and I buy and sell our first home in Austin, She was incredibly knowledgeable and helpful throughout both processes. She was an absolute joy to work with, from her professionalism to her incredibly open and thoughtful personality. I cannot recommend Amber enough. Amber has a thorough knowledge of the process of selling a home. She made sure we were briefed on all the steps in the process before we began our adventure. She had answers to questions we had not even thought about from getting the property ready, showing and closing. Extremely helpful and always had answers to our questions. Never had to put us off and find answers. Amber was a great agent to work with she is incredibly knowledgeable and personable. She was always available and made the stressful process go as smoothly as it could have been. Amber is a responsible, honest, and motivated individual. I was a first time home buyer with a lot of questions. She walked me through every step of the process and taught me a lot. I wouldn’t hesitate in using her real estate expertise again or recommending her to my family and friends. As a first-time home buyer, I had a lot of questions and uncertainty about what I needed to do. Amber was great at answering all my questions and being patient with everything I needed. She knows the market well, can provide great advice, and I felt like I could contact her about anything. I would strongly recommend Amber to anyone interested in purchasing a home. I worked with Amber to purchase my current home. Amber was extremely well prepared, professional, punctual and very easy to work with. Buying a home is inherently stressful, but Amber’s patience, deliberate planning and attention to detail made the process feel quite manageable. I would strongly recommend Amber to anyone interested in purchasing a home. My fiance and I were first time home buyers when we met Amber. She walked us through the entire process and made us feel at ease. From finding the right house to closing she was there every step of the way. I would definitely recommend her! Amber was amazing through the whole home buying process. We are very grateful for her help. I was extremely happy with the level of communication we had and with the knowledge that Amber shared with us. Amber did an outstanding job of helping us, she made the process, which was completely new to us much less stressful that it could have been. Fantastic Agent! Amber was Great very helpful and patient. Amber was wonderful to work with. She was very friendly and personable. She made the process so easy. – Haley & Bobby L.
She was a source of support and stability when things got difficult. Amber was incredibly knowledgeable, she was a source of support and stability when things got difficult. Amazing job Amber! Amber was a breath of fresh air. She exceeded our expectations. She is a great REALTOR. I would highly recommend Amber Moran as your Realtor. I would and have recommended Amber Moran to anyone of my friends and family. Amber Moran was an incredible advocate during the many months that she worked with me. She not only took the time to listen and consider all of my requirements but also asked intelligent questions in order to help me distill my individual needs. Amber took the time to show me appropriate homes, sometimes more than twice as I began to finalize my decision. She also educated me on the process of buying a home as a single professional woman. I would and have recommended Amber Moran to anyone of my friends and family in search of a holistic representative. Amber is absolutely amazing!!! We are first time home buyers & she made this process so much easier than I anticipated!!! We couldn’t have done it without her & I highly recommend Amber!!! We will ALWAYS use her in the future as well!!! I always felt like I was in good hands. Amber helped me find my first house. Then she helped me sell that house. She put me at ease throughout the buying process and did a great job in both the negotiation and in navigating me through the paperwork process. I always felt like I was in good hands. When I sold my house, it was a particularly complicated situation, both with the personalities involved and with technical stuff related to the house. Amber was often put in tough positions–every day was a new curve ball–and she handled all of them with equal grace. Amber is down-to-earth, friendly, and straightforward. She´s more than competent at managing (and juggling) all the details of house transactions. She´s always available to talk or answer questions. And when it´s time to negotiate, you want her in your corner. She was patient and good-humored. Amber made the exhausting, often nail-biting, process of house hunting fun. Without ever having met me before, she agreed to meet on short notice on a Saturday at a house I just knew was going to sell quickly. Once there, she gave me her honest opinion on its condition and market value, and then supported my partner and I through the emotional experience of making our first offer. Later, after that offer was rejected, she encouraged us along. She was patient and good-humored throughout and brought a lot of knowledge and insight to the process. In the end, she celebrated with us as we finally sealed the deal on the perfect house! Amber was a great help to us. Did a terrific job of reading the market and finding the sweet-spot for our house. She had us under contract, with multiple backups, in under 48 hours. Could not ask for better service or a nicer agent. We enjoyed working with Amber Moran so much. She was fun, sweet & professional. I would HIGHLY recommend her! She made this whole crazy experience as smooth as possible & she was never shaken. We appreciated her forethought, research & preparedness. Amber is a positive and thorough person who will look out for the people she works for by being very honest with them throughout the home buying or selling process. Working with Amber was a joy! As a mortgage loan originator, if I had members with no REALTOR when starting the home buying process, I could always rest assured knowing my members were well taken care of and educated throughout the homebuying process when referring them to Amber. She is dedicated, helpful, and honest when setting expectations and explaining. Amber is extremely knowledgeable about all things in Real Estate. She is absolutely somebody I would rely on and recommend if I had any clients in need of a Realtor for selling or buying Real Estate. Amber has great dedication to her clients’ needs and enjoys working to find their dream home. Her Realtor knowledge combined with her lending background are a winning combination for happy clients. Amber you are very knowledgeable as a preferred realtor as buying a home can be stressful; your commitment to the client in finding their dream home is truly a valuable service! You work with integrity and build lifelong relationships. I have worked with you for a number of years and will continue to send you referrals. Amber’s positive attitude and eagerness to help her clients are just two of the many outstanding qualities which make Amber a great real estate agent. I have worked with Amber and several of her real estate clients. She is a great Realtor and I would recommend her to everyone i meet. She is knowledgeable about the real estate market and will work with you throughout the home buying and selling process. Amber is an excellent agent with a strong work ethic and dedication to her clients. She takes complete ownership of each transaction and delivers a high level of service, regardless of price range. Her knowledge of the mortgage lending side of the business allow for smooth transactions. You can’t go wrong with Amber on your side!